Photo above: Betsy Ross sewing the first American flag in Philadelphia. Courtesy National Archives. Right: Lithograph of the Boston Tea Party. Courtesy Library of Congress. March 5, 1770 - The Boston Massacre occurs when British troops fire into a Boston mob, who were demonstrating against British troops at the customs commission. The first to fall was Crispus Attucks, a fugitive slave and merchant seaman near the front, followed by four other men amongst the forty-fifty patriots. 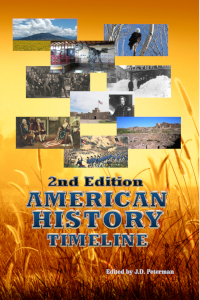 This event was later credited as the first battle in the American Revolution, which began five years later, and was used as an incident to further the colonists cause of rebellion. April 12, 1770 - The Townshend Acts, duties on goods such as lead, paper, glass and tea enacted three years earlier, were repealed by British parliament, except for that on tea, thus continuing to raise opposition in America. British Prime Minister Lord North, as well as parliament, maintained the tea tax, in order to show their supremacy. June 3, 1770 - A town of Monterey, California is established by Father Junípero Serra and explorer Gaspar de Portolà. Monterey would serve as the capital of California from 1777 to 1849 under the flags of Spain and Mexico. July 1, 1770 - The closest encounter of a comet with earth likely occurs as the Lexell Comet passes at the closest distance in history, 3.4 million kilometers. This comet no longer comes near enough to Earth to be seen due to gravitational pulls with Jupiter and may have been ejected from our solar system. August 1, 1770 - William Clark, explorer noted for his Lewis and Clark Expedition, and later Governor of the Missouri Territory and Superintendent of Indian Affairs, is born. The colonies are growing. By this year, there were over two hundred miles of roads in New Hampshire alone. May 1771 - In Connecticut, the General Assembly directs the governor, Jonathan Trimball, to "collect all publick letters and papers which hereafter in any way affect the interest of this Colony and have the same bound together, that they may be preserved." September 8, 1771 - The Mission San Gabriel in San Gabriel, California is founded by Fathers Pedro Cambon and Angel Somera, closing the gap between the established missions at Monterey and San Diego, and the new mission at San Antonio de Padua, also founded earlier in the year. Due to its large production of crops and wines, the mission later became known as the “Pride of the Missions. November 25, 1771 - The colony of New York gains another member of the press corps when the Albany Gazette becomes that city's first newspaper into publication. 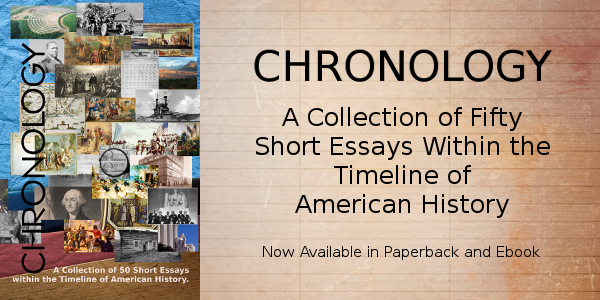 It would publish until 1845. December 31, 1771 - Imports to America from England totaled 4,200,000 pounds for the year. May 1772 - The first independent Anglo-American government is founded by the Watauga Association in East Tennessee, a group of settlers needing mutual protection along the Watauga River. The written agreement allowed for a five man court to act as the government. 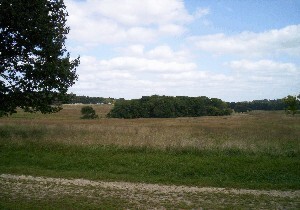 Also is 1772, the Wataugans would negotiate a ten year lease with the Cherokee for land along the river. June 9, 1772 - British customs cutter HMS Gaspee, charged with enforcing the Stamp Act of 1765 and the Townshend Acts, is lured aground off the coast of Warwick, Rhode Island on the shore of Narragansett Bay. The next day, colonial sympathizers defy the king and torch the revenue ship. Governor Livingston, first governor of the State of New Jersey, builds Liberty Hall in Union. November 20, 1772 - Samuel Adams writes his Rights of the Colonists document, The Report of the Committee of Correspondence to the Boston Town Meeting. March 12, 1773 - The House of Burgesses in the Colony of Virginia reacts strongly against British policies by setting up a committee to contact the other colonies about their common defense. They issue the Virginia Resolutions Establishing A Committee of Correspondence. September 11, 1773 - Benjamin Franklin writes and publishes a satirical essay in The Public Advertiser called Rules By Which A Great Empire May Be Reduced To A Small One. November 29, 1773 - The first organized meeting of colonists in Faneuil Hall to decide what to do about the tea problem occurs after the first ship, Dartmouth, arrives at the Griffin wharf in Boston with the cargo. December 16, 1773 - When the English East India Company sought financial assistance, England allows the company to ship surplus tea to America at low cost. This rankled the American colonists, who resented the implementation of a single company controlling the tea trade, as well as the right of the British government to tax the colonies without their consent. Meeting at the Old South Meeting House, Bostonians led by Josiah Quincy and Samuel Adams discussed the new British tax on tea and subsequently boarded three ships in the nearby harbor, tossing the 342 chests of tea overboard. The Boston Tea Party caused Parliament to close the port of Boston and pushed the American colonies one step closer to war. The laws and ordinances of the city of Albany, New York are published. March 31, 1774 - British Parliament closes the port of Boston in response to the Boston Tea Party. June 2, 1774 - The Intolerable Acts, including the reestablishment of the Quartering Act, requiring colonists allow British soldiers into their homes, and the curtailment of Massachusetts self-rule, are enacted by the British government. Later led to the 3rd Amendment of the U.S. Constitution, which prohibits the U.S. Army from doing the same. September 5 to October 26, 1774 - The First Continental Congress is held in Carpenter's Hall in Philadelphia, protesting the Intolerable Acts. The Congress, attended by all American colonies except Georgia, petitioned King George to stop the new regulations on Massachusetts, and called for civil disobedience and boycotts of British wares by the American Association. No concessions were made by the King or English parliament. September 21, 1774 - George Mason and George Washington form the Fairfax County Militia Association, which is independent of British control. It would consist of no more than one hundred men. The colonies of Rhode Island, Georgia, and Connecticut ban the further importation of slaves. By the end of January 1775, there were 37 newspapers being printed in the American colonies. Seven newspapers were published in Massachusetts; one in New Hampshire; two in Rhode Island; and 4 in Connecticut. Three papers were published in New York City, with one additional New York paper published in Albany. Nine were published in Pennsylvania; two in Maryland; two in Virginia (both at Williamsburg); two in North Carolina; three in South Carolina, and one in Georgia. 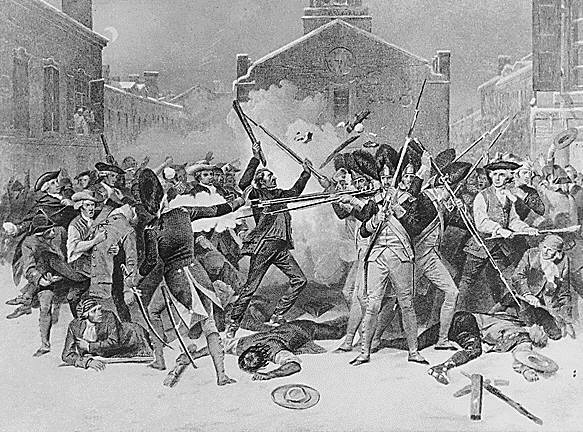 February 9, 1775 - The British government declares Massachusetts in rebellion. 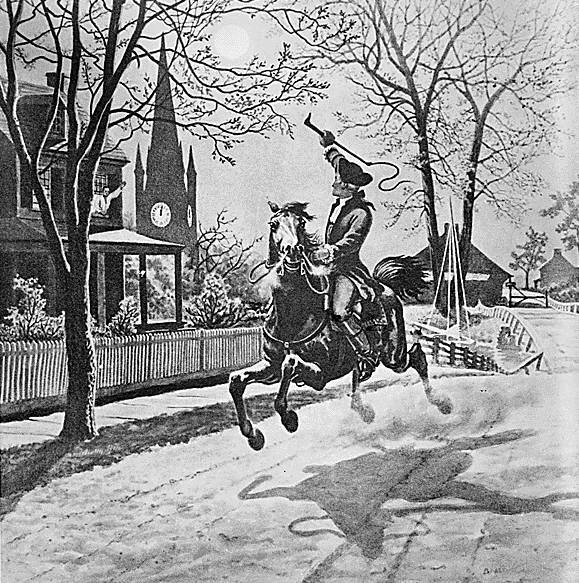 April 18, 1775 - Two lanterns were hung from the steeple of Old North Church by sexton Robert Newman as Paul Revere and William Dawes rode through the night, warning patriots that the British were coming to Concord to destroy arms. The next day, during armed resistance, 8 Minutemen were killed at Lexington and the British took 273 casualties on their return from Concord, starting the American Revolution. This was a culmination of the months prior, as colonists began to gather arms and powder if fighting the British became necessary. However, even after the patriot’s brave battle at Lexington and Concord, the majority of Americans were undecided whether war or reconciliation was the more prudent course of action. June 15, 1775 - The Continental Congress appoints George Washington commander-in-chief of the Continental Army, sending him to Boston with the task to take charge of the ragtag militia there. January 10, 1776 - Thomas Paine, an English writer, publishes his pamphlet "Common Sense," touting the ability and right of America to create a democratic and free nation, winning public support for the cause of American independence from Britain with the sale of hundreds of thousands of copies. Thomas Jefferson received a copy of "Common Sense" at his home Monticello, whose sentiments pleased him, and the course for independence and the Declaration to follow began. July 4, 1776 - The Declaration of Independence, from the pen of Thomas Jefferson and his committee, is approved in the Second Continental Congress of the United States of America, held in Independence Hall, Philadelphia, Pennsylvania. It was influenced by many writers, including John Locke, and was emboldened by the notion that man had the natural right to change or overthrow the government that denied their rights. Four days later, the Declaration of Independence was proclaimed publicly for the first time outside the Province House in Philadelphia, later to be dubbed Independence Hall, touching off a celebration that rippled through the city. Liberty and freedom was celebrated amongst commoners and soldiers, who would soon fight to solidify its hold on the thirteen colonies. September 7, 1776 - In the world’s first submarine attack, the American submersible ship Turtle attempts to attach a time bomb to the flagship of British Admiral Richard Howe’s ship HMS Eagle in New York Harbor. September 22, 1776 - As a member of the Continental Army sent on an intelligence gathering mission behind enemy lines on Long Island, Nathan Hale, disguised as a Dutch teacher, is subsequently caught and executed by the British for spying. In a speech before he was hung, the immortal words, “I only regret that I have but one life to lose for my country,” were reportedly uttered, and reverberated through repetition throughout the colonies. A statue of Hale now sits outside the Central Intelligence Agency in Washington, D.C.
December 25 to 26, 1776 - At McKonkey's Ferry, General Washington and his 2,400 troops cross the Delaware River from Pennsylvania to New Jersey on Christmas Day from 4 p.m. until 4 a.m. the next morning and defeats 1,400 Hessians in the 1st Battle of Trenton, capturing 900 men. January 3, 1777 - General Washington and the 7,000 man Continental Army defeats British General Charles Cornwallis at Princeton, New Jersey. This battle, combined with that of Trenton one week earlier, impressed upon other European nations that the Americans could combat the British Army. June 14, 1777 - The Continental Congress adopts the Stars and Stripes as the national flag. It would later fly on the battlefield for the first time on September 3rd at Cooch’s Bridge, Delaware. August 3, 1777 - American held Fort Stanwix is besieged by British and Indian troops under the command of General Barry St. Leger. The British are forced to withdraw after three weeks under the duress of the fort's defenders, led by Colonel Peter Gansevoort. November 15, 1777 - The Articles of Confederation and Perpetual Union are adopted by the Continental Congress in Independence Hall. It serves as the first constitution of the United States. December 17, 1777 - After John Adams, elected commissioner to France by the Continental Congress, and Benjamin Franklin engage their support for the Revolutionary War, France recognizes the independence of the 13 colonies, signing treaties of alliance and commerce. French involvement becomes the turning point of the war. December 19, 1777 - After failing victory in the battles of Brandywine, Battle of the Clouds, Paoli, and Germantown, and in response to the British capture of Philadelphia, George Washington marches his 11,000 man Continental Army into Valley Forge for the first winter encampment. In an advertisement in a Kentucky gazette, a New Jersey stallion gains the name thoroughbred, the first usage in the United States of that equine term. February 5, 1778 - Friedrich von Steuben of the Prussian Army meets with the Continental Congress in York, Pennsylvania. They direct him to join General George Washington at the winter encampment at Valley Forge to drill the Continental Army into an effective fighting unit while the British retain control of Philadelphia, only twenty miles away. South Carolina also becomes the first state to ratify the Articles of Confederation. February 6, 1778 - France signs the treaty of Amity and Commerce with the United States, officially recognizing the new nation, and sends Pierre L’Enfant to be captain of engineers at Valley Forge. Later, L’Enfant would be commissioned to design the capital city of the United States, Washington, D.C.
June 18, 1778 - British evacuate Philadelphia to reinforce their troops in New York City, a response to the new French involvement in the conflict. December 29, 1778 - The first battle of Savannah, Georgia is lost to the British. February 25, 1779 - Fort Sackville at Vincennes, Indiana is surrendered by British troops under the command of British Lt. Governor Henry Hamilton. The militia under Lt. Colonel George Rogers Clark, bolsters the western claims in the American Revolution. June 1, 1779 - Although currently a successful American general, Benedict Arnold is court-marshaled for civil authority disputes. His sentence, however, was a light reprimand by General Washington. 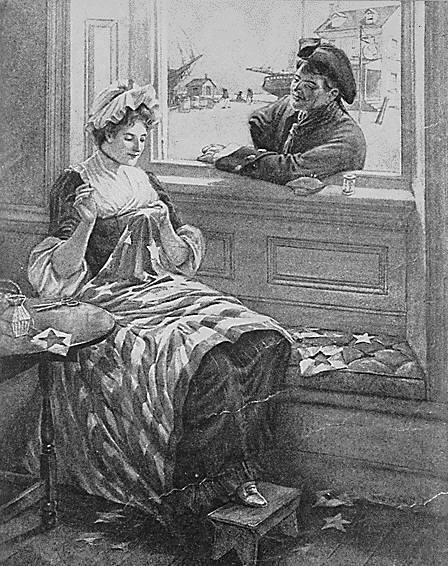 Mad about the court-marshal and the new American alliance with France, Arnold became a traitor against the American cause when he plotted to transfer the fort at West Point, New York, for 20,000 sterling (approximately $1,000,000 today) that would effectively give control of the Hudson River to British forces. His plot was uncovered, but Arnold escaped, then joined British forces and fought against the Continental Army. September 23, 1779 - John Paul Jones and the Bonhomme Richard defeat the Serapis in the British North Sea. December 1, 1779 - General Washington arrives at Morristown, New Jersey, where the Continental Army camps during the 1779-1780 winter of the Revolutionary War. December 25, 1779 - Nashville, Tennessee is founded by James Robertson as Fort Nashborough.